Air Experts is a full-service air conditioning and heating contractor with the ability to service and install complete heating, ventilation and air conditioning systems. We also provide seasonal efficiency testing (maintenance) and service of existing equipment as well as installation of new equipment. In addition, Air Experts will provide you with solutions to your indoor comfort problems by performing air diagnostics to help improve your indoor air quality and comfort. 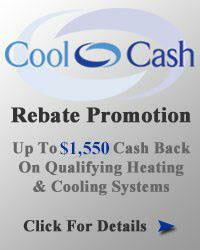 Our goal is to create energy savings by helping your system run as efficiently as possible. As a Carrier dealer, with a wide variety of products to choose from, we can keep your family healthy and feeling comfortable all year long. 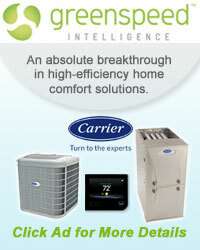 We carry a complete line of indoor comfort equipment with innovations that raise the standards of comfort and reliability, including air conditioners, heat pumps, gas furnaces, programmable thermostats, humidifiers, ductless split systems, air cleaners, ultra violet lights, ventilators and zoning products. 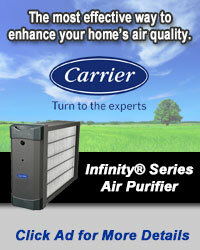 Let the experts at Air Experts help you customize a solution that's right for you.